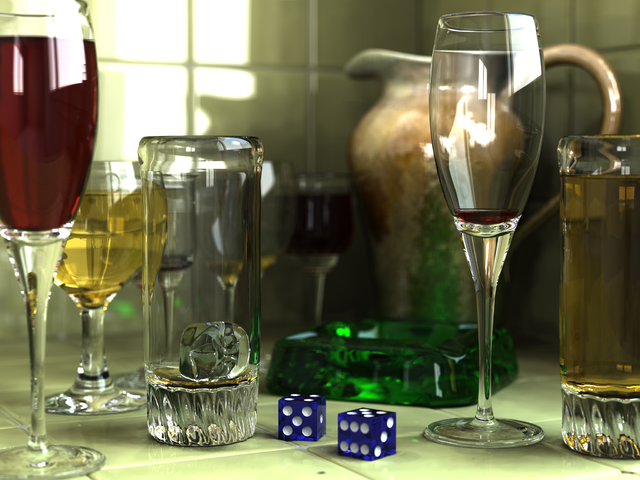 Inspired by the results of Majoâ€™s rendering Interior test RedSDK - Kitchen http://forums.turbocad.com/index.php/topic,8624.0.html, I decided to try to render of the glass. Glass requires quality environment. For the experiments it is very convenient to use the cabinet from the Tutorial - rendering of RedSDK http://forums.turbocad.com/index.php/topic,8615.0.html. RedSDK, Photorealistic, Glass, UV Mapping. Here is a new render of the snifter glass. Superb Vlad, thanks for sharing! Vlad, is it rendered B & W or was that done afterward? Nice glass material setting and render too. There are no post actions, only print screen and paste to paintbrush. The main purpose of this work was to obtain images of pure transparent glass with a smooth surface (so only white color, no bump, no blur, and no glossy etc.). However, the color of course was used for the experiments with the glass (please see attacments). It is a standard material Glass\Glass, but the geometry of the wineglass is complex enough, facets have different 3D options: â€˜Double sided Onâ€™, â€˜Double sided Offâ€™ and â€˜Double sided Off + Reversed Normalsâ€™. I find that I am lost for words - looks like you have got very close to your goal. It demonstrates what can be achieved, with plain old vanilla TurboCAD - very impressive. Page created in 0.758 seconds with 23 queries.